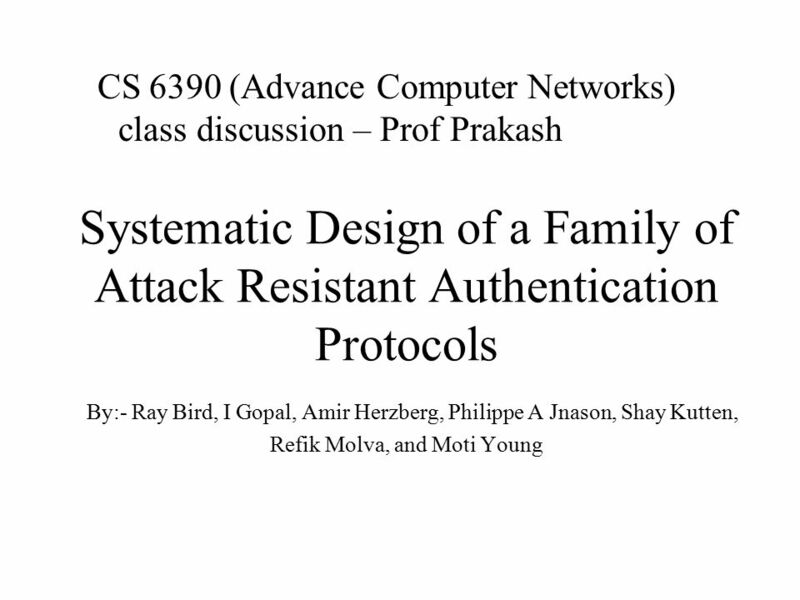 Systematic Design of a Family of Attack Resistant Authentication Protocols By:- Ray Bird, I Gopal, Amir Herzberg, Philippe A Jnason, Shay Kutten, Refik. 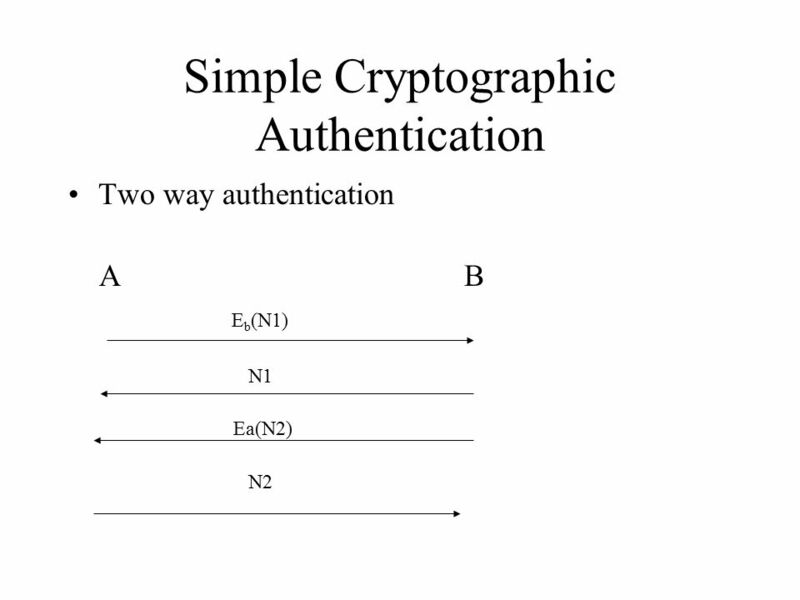 2 AUTHENTICATION - The process of proving one’s identity to someone else A necessary condition for securing a network is :- The ability to reliably authenticate communication partners and other network entities. 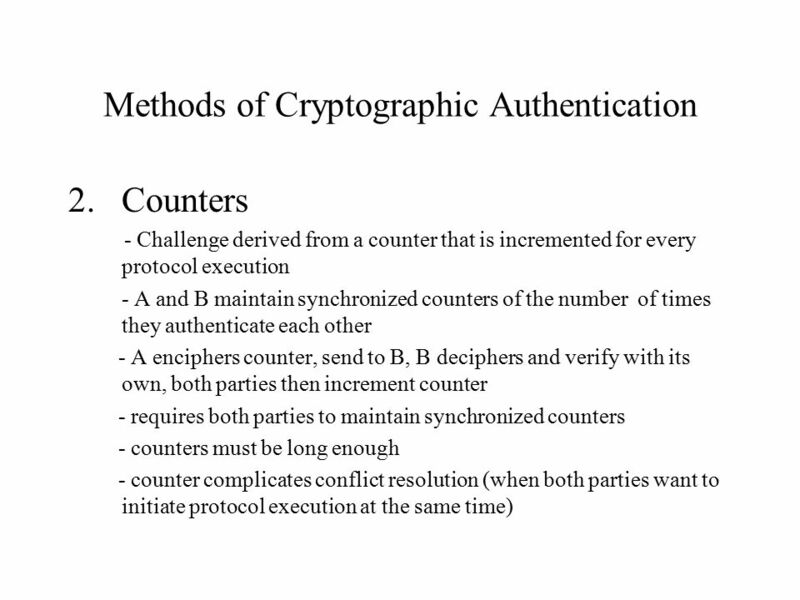 Download ppt "Systematic Design of a Family of Attack Resistant Authentication Protocols By:- Ray Bird, I Gopal, Amir Herzberg, Philippe A Jnason, Shay Kutten, Refik." 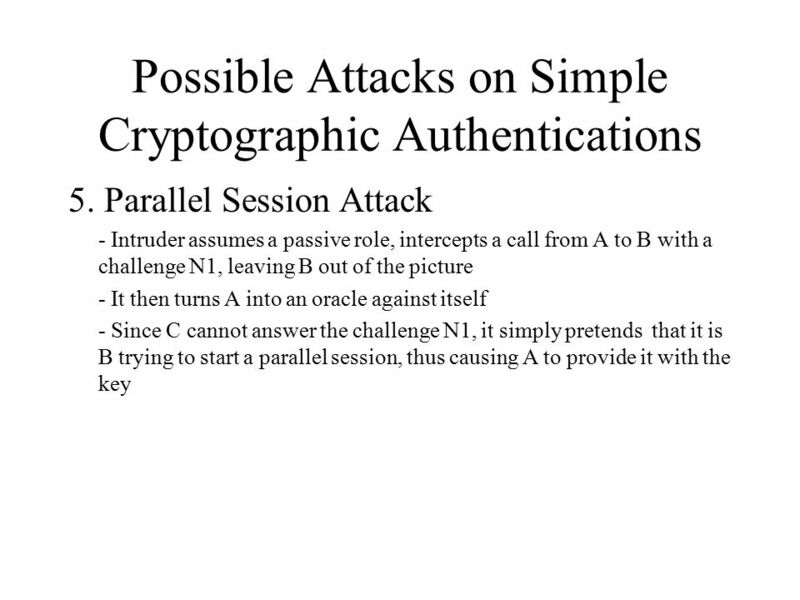 Security attacks. 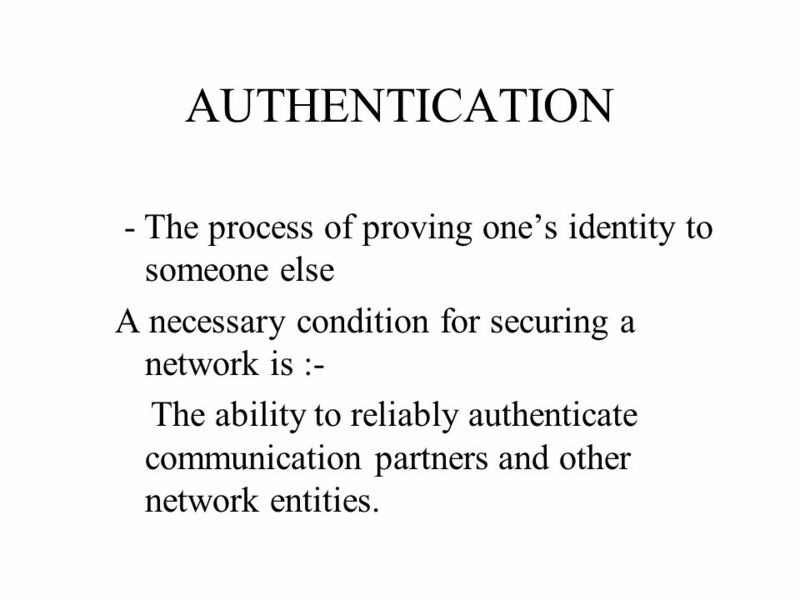 - confidentiality: only authorized parties have read access to information - integrity: only authorized parties have write access to. 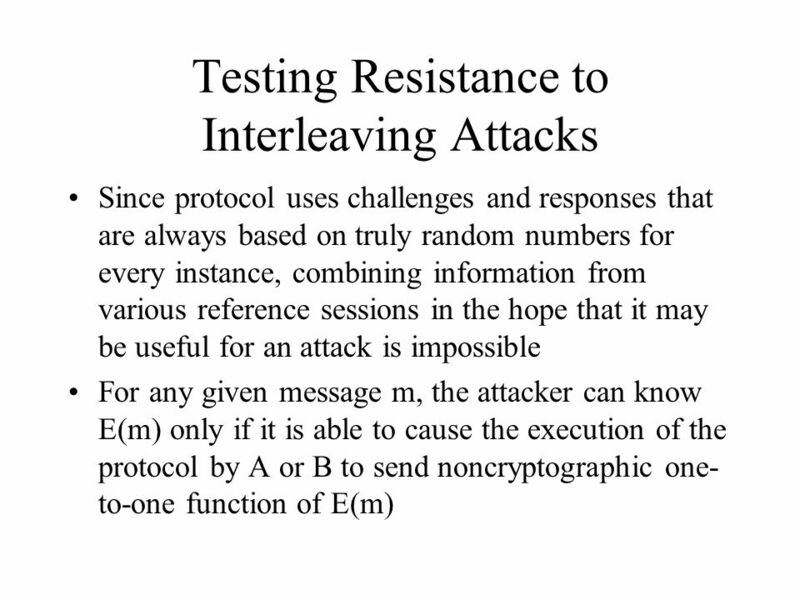 KERBEROS LtCdr Samit Mehra (05IT 6018). 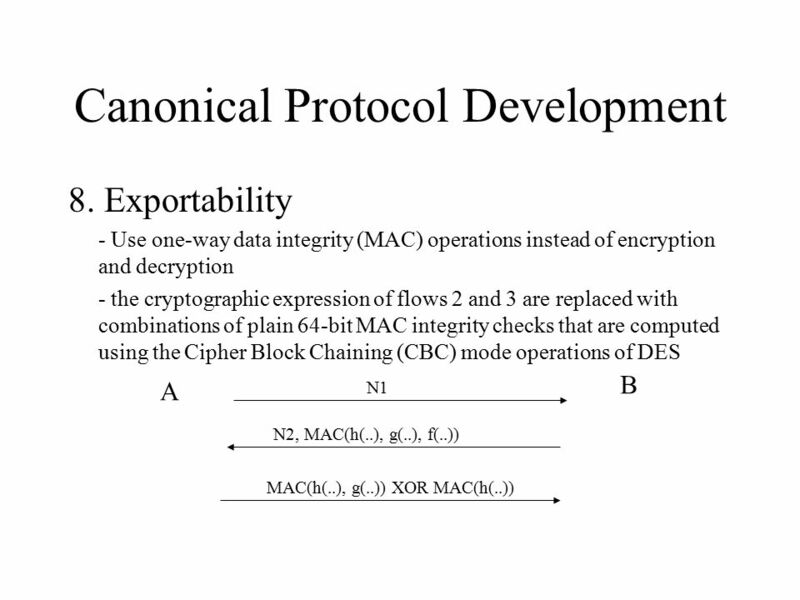 Key distribution and certification In the case of public key encryption model the authenticity of the public key of each partner in the communication must. 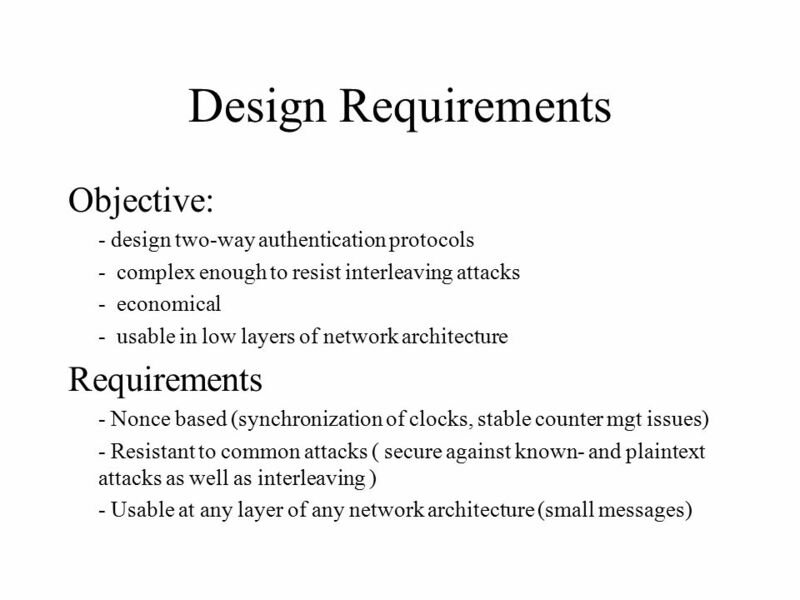 ECE454/CS594 Computer and Network Security Dr. Jinyuan (Stella) Sun Dept. 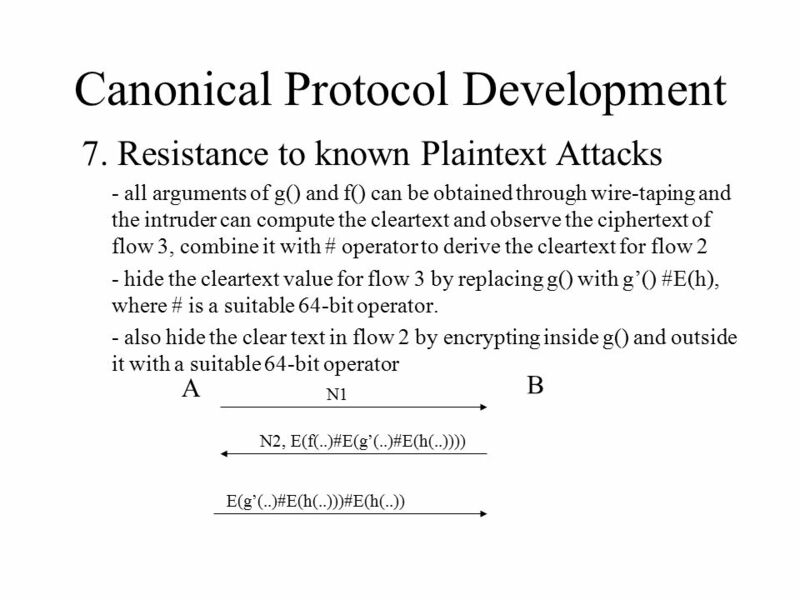 of Electrical Engineering and Computer Science University of Tennessee Fall 2011. 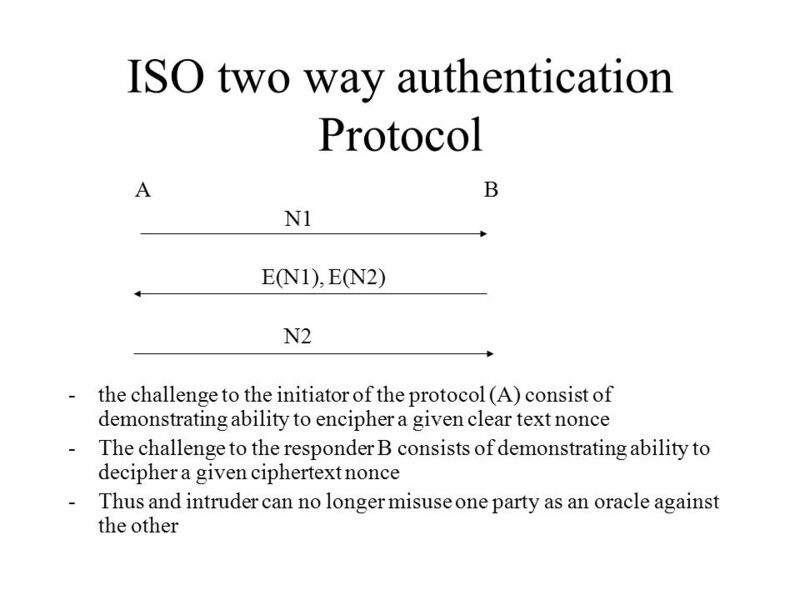 CIS 725 Key Exchange Protocols. 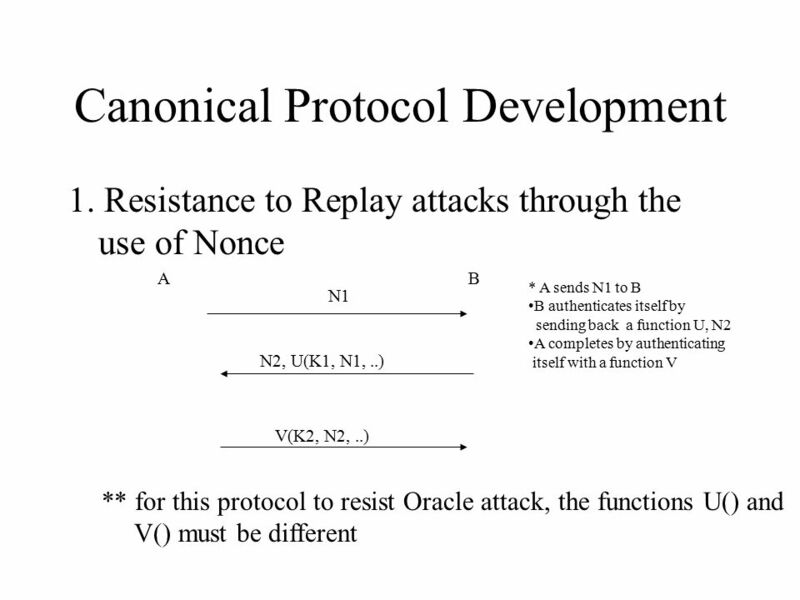 Alice ( PB Bob (M, PR Alice (hash(M))) PB Alice Confidentiality, Integrity and Authenication PR Bob M, hash(M) M, PR Alice. 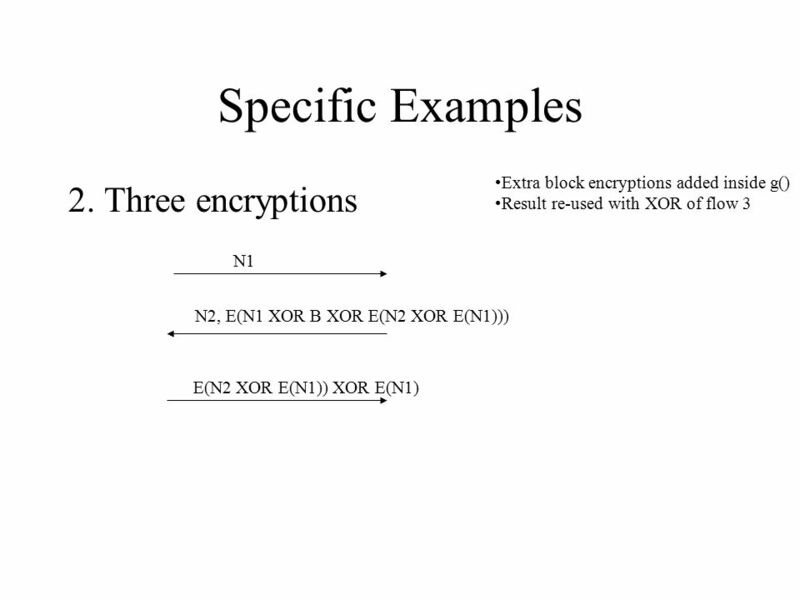 1 Security in Wireless Protocols Bluetooth, , ZigBee. 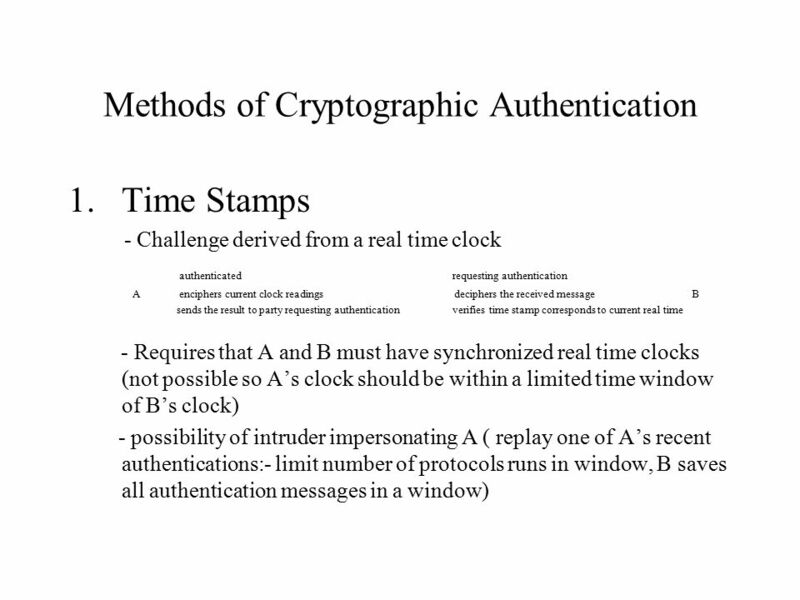 CS470, A.SelcukCryptographic Authentication1 Cryptographic Authentication Protocols CS 470 Introduction to Applied Cryptography Instructor: Ali Aydin Selcuk. 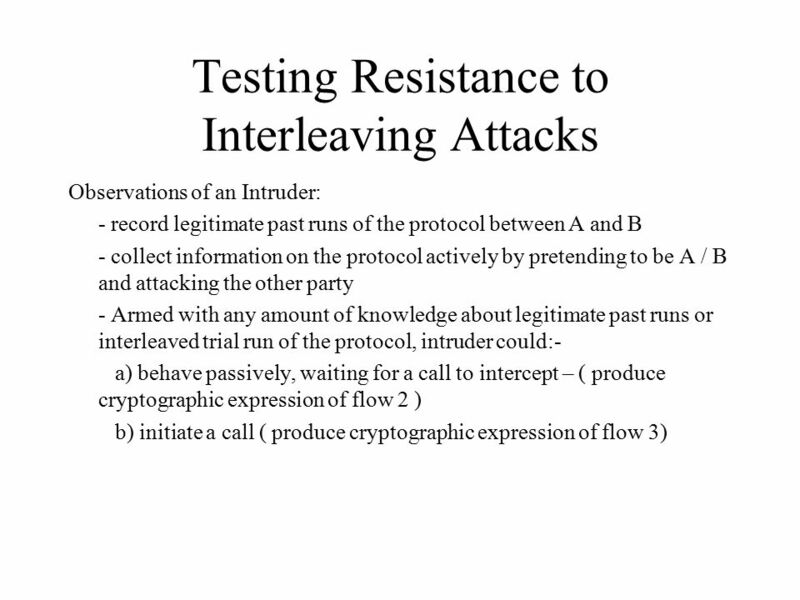 Internet and Intranet Protocols and Applications Lecture 9a: Secure Sockets Layer (SSL) March, 2004 Arthur Goldberg Computer Science Department New York. 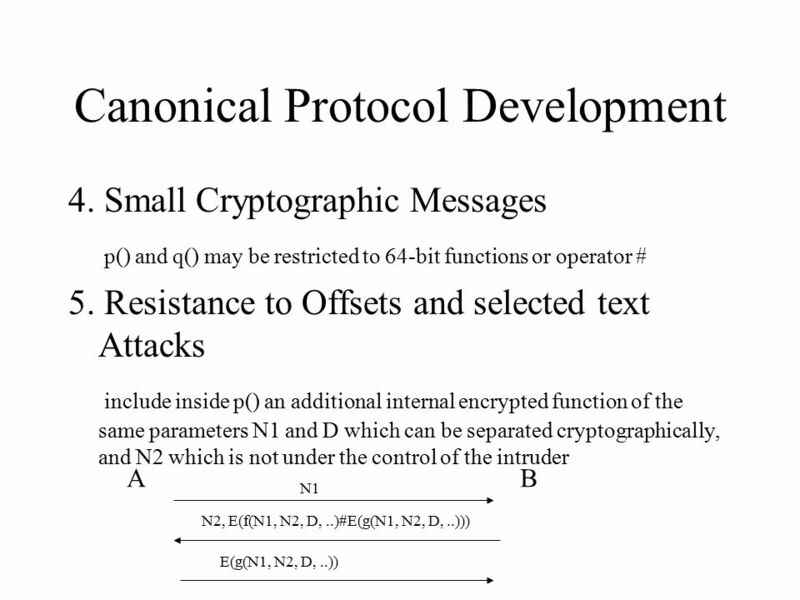 SSL CS772 Fall Secure Socket layer Design Goals: SSLv2) SSL should work well with the main web protocols such as HTTP. 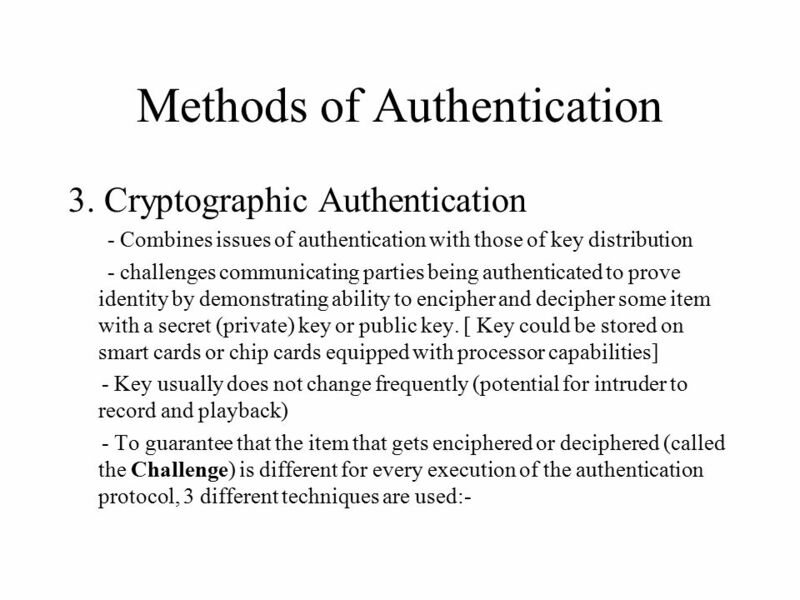 Confidentiality is the top. 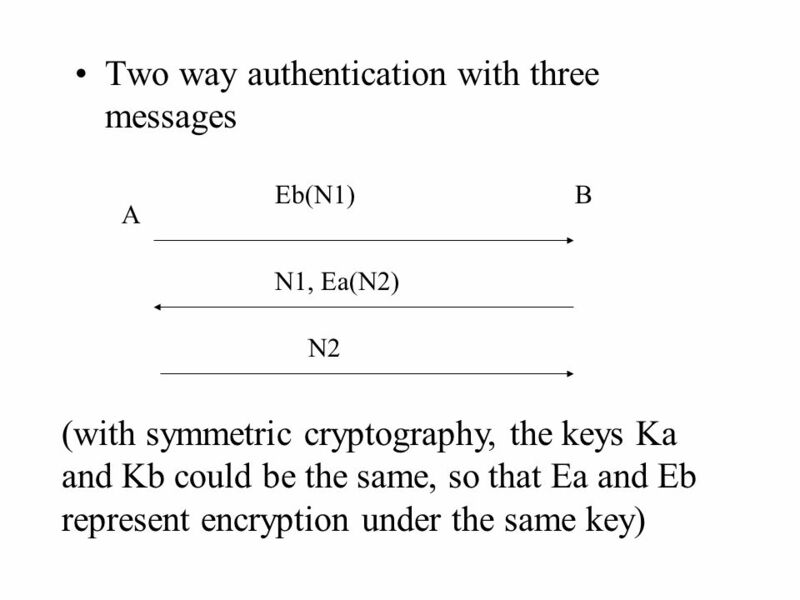 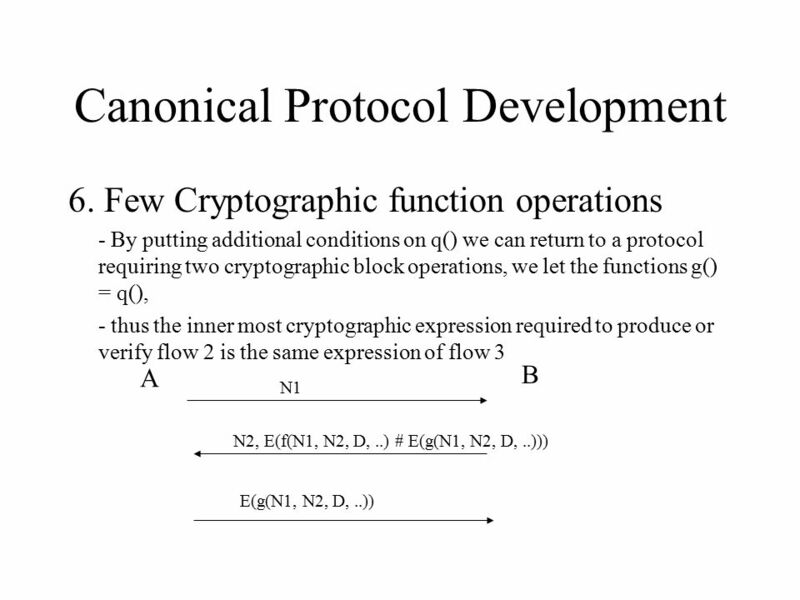 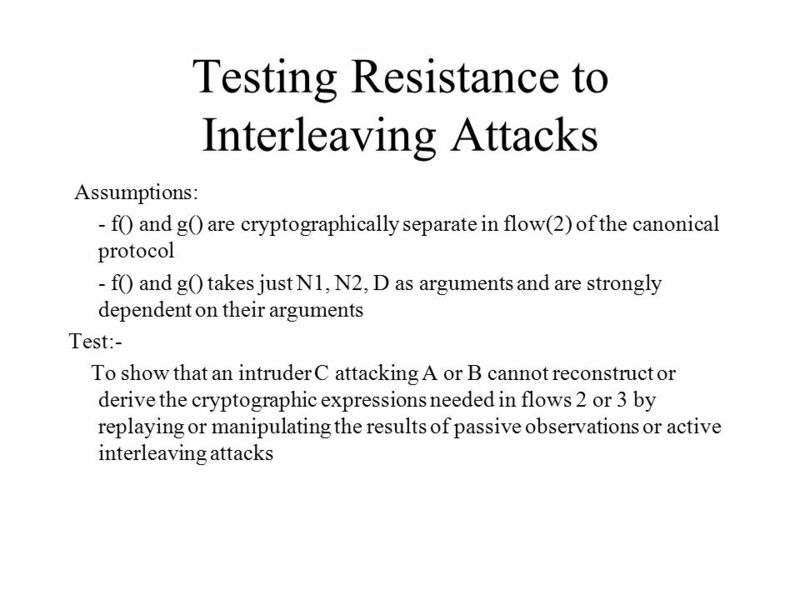 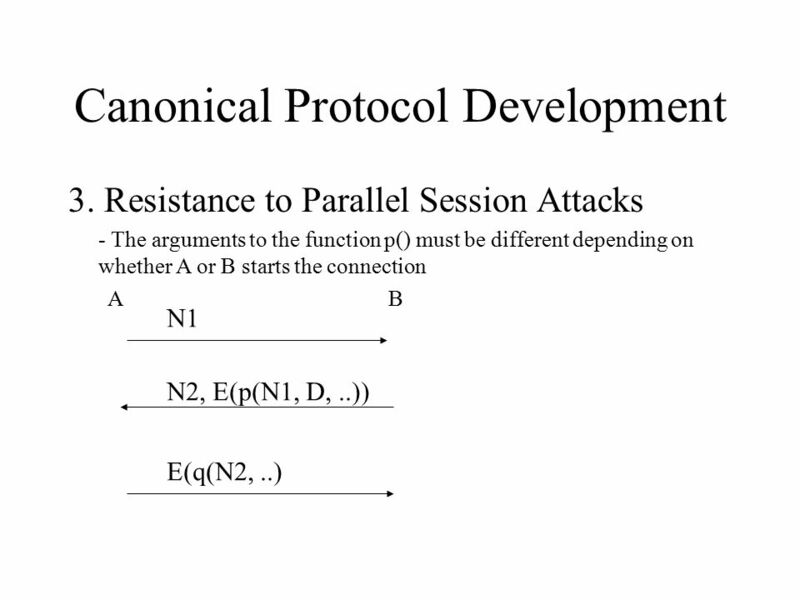 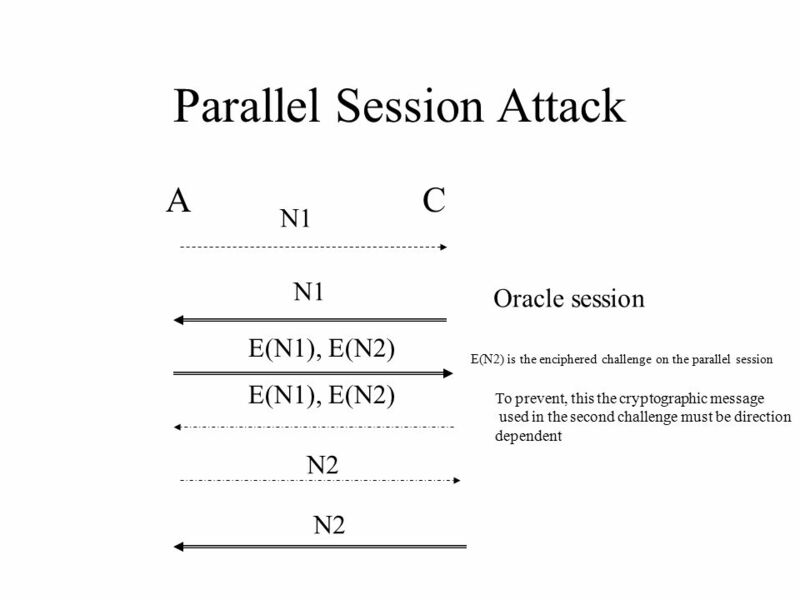 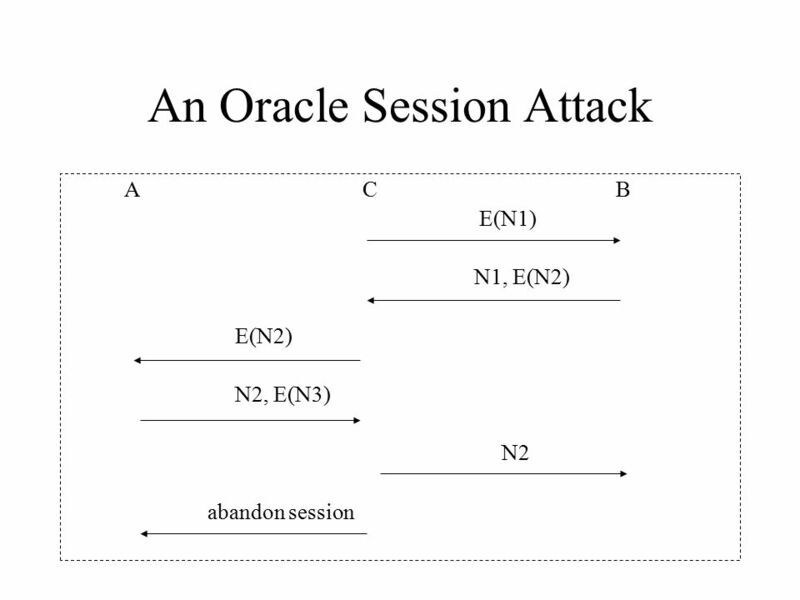 1 Introduction CSE 5351: Introduction to cryptography Reading assignment: Chapter 1 of Katz & Lindell. 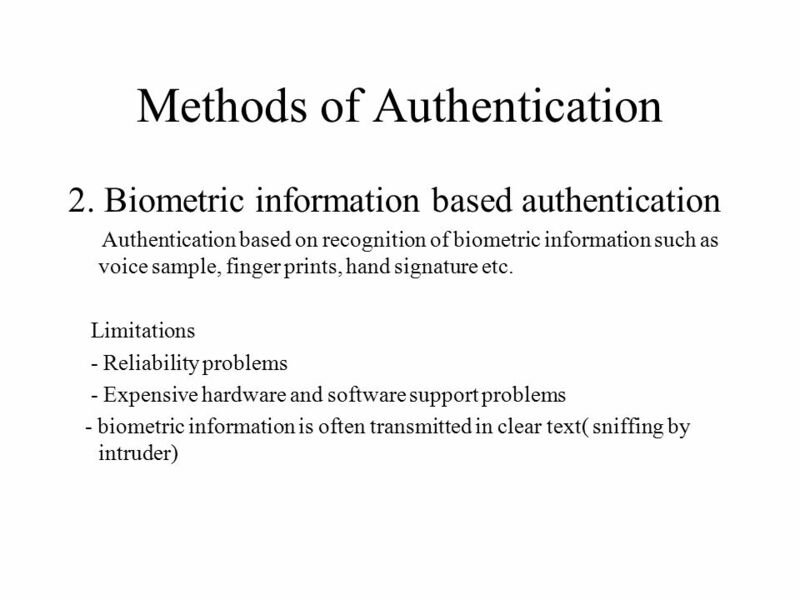 SMUCSE 5349/73491 Authentication Protocols. 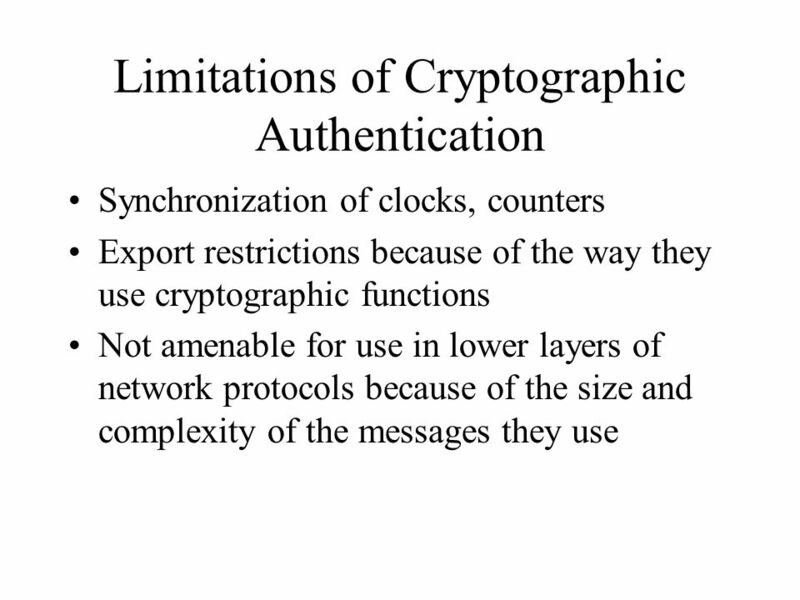 SMUCSE 5349/73492 The Premise How do we use perfect cryptographic mechanisms (signatures, public-key and symmetric. 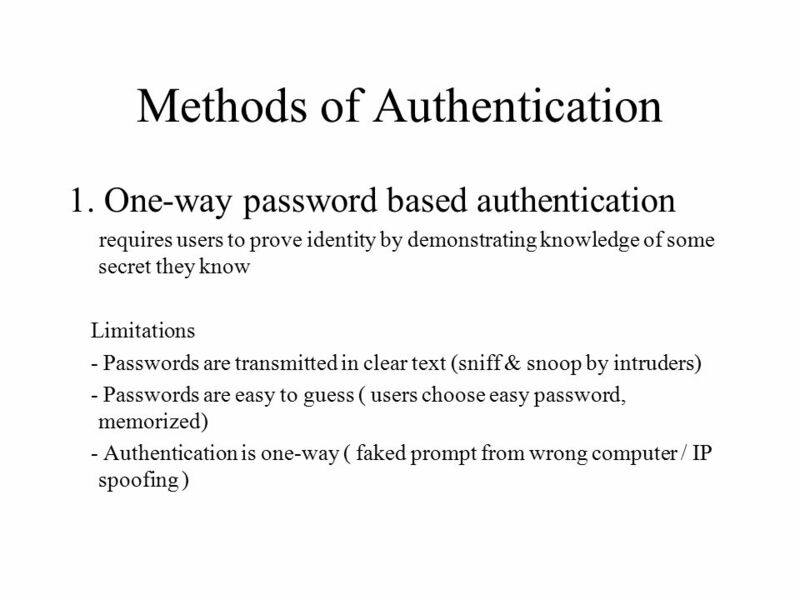 Apr 30, 2002Mårten Trolin1 Previous lecture – passwords Passwords for authentication –Storing hashed passwords –Use of salt Passwords for key generation. 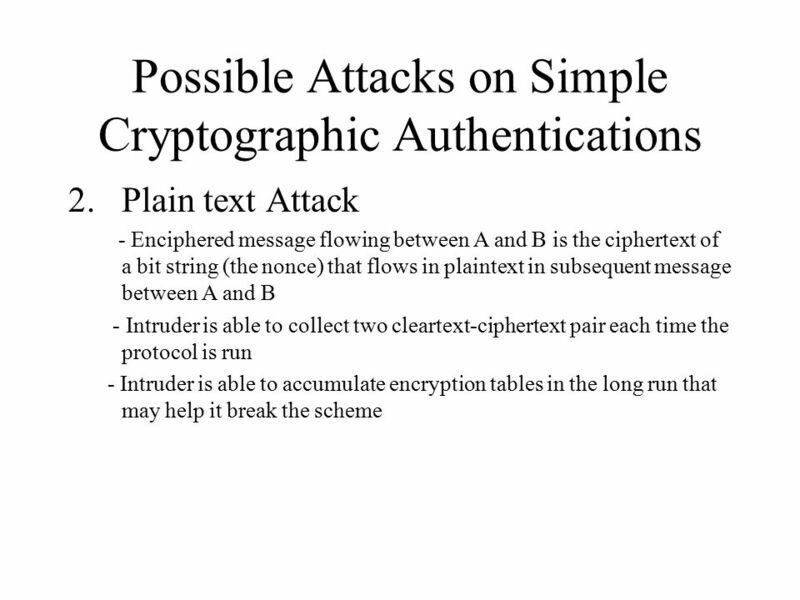 Secure communications Week 10 – Lecture 2. 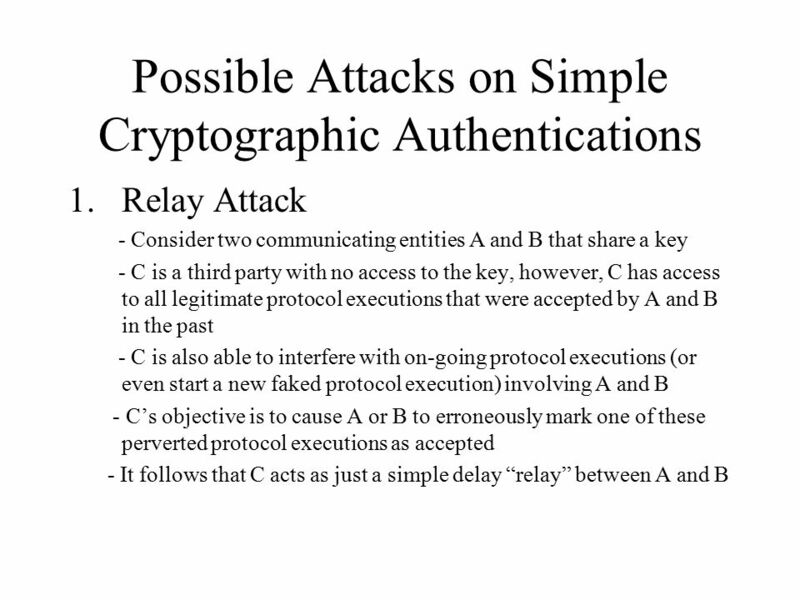 To summarise yesterday Security is a system issue Technology and security specialists are part of the system. 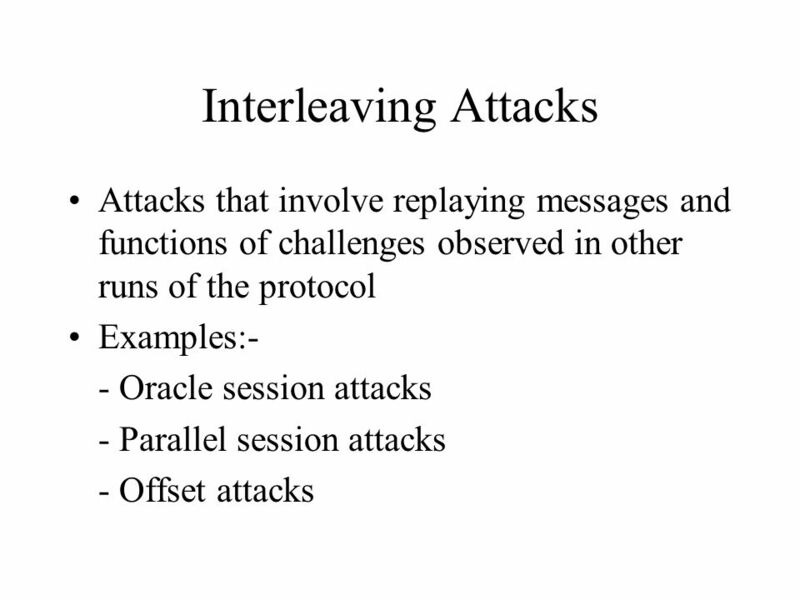 Security in Wireless LAN Layla Pezeshkmehr CS 265 Fall 2003-SJSU Dr.Mark Stamp. 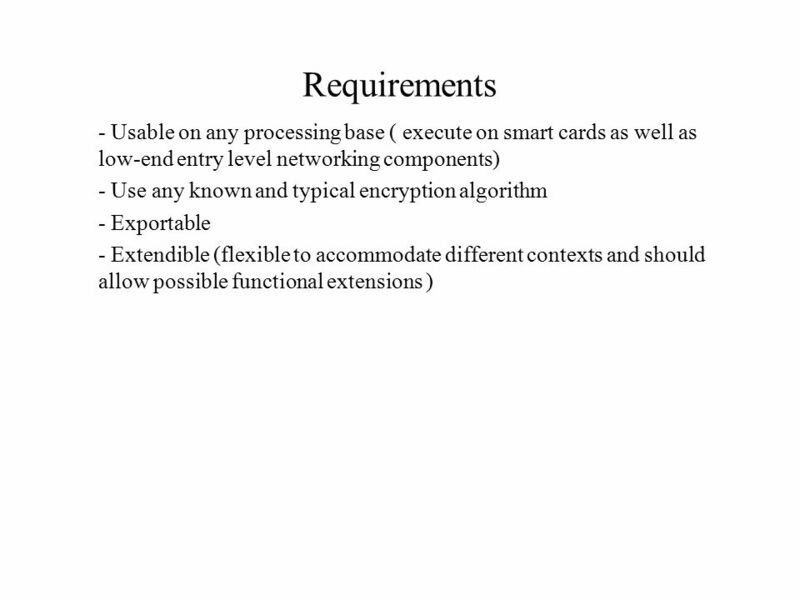 Mar 25, 2003Mårten Trolin1 Previous lecture – smart-cards Card-terminal authentication Card-issuer authentication. 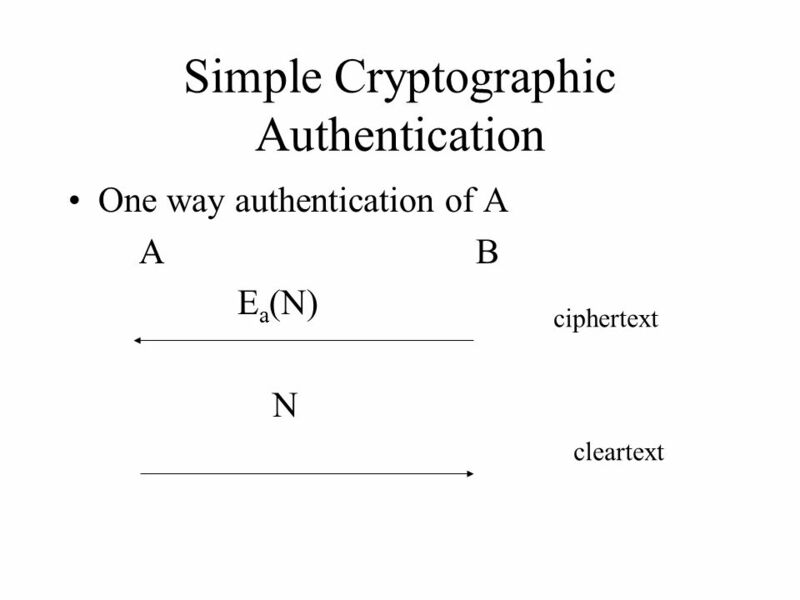 Cryptography (continued). 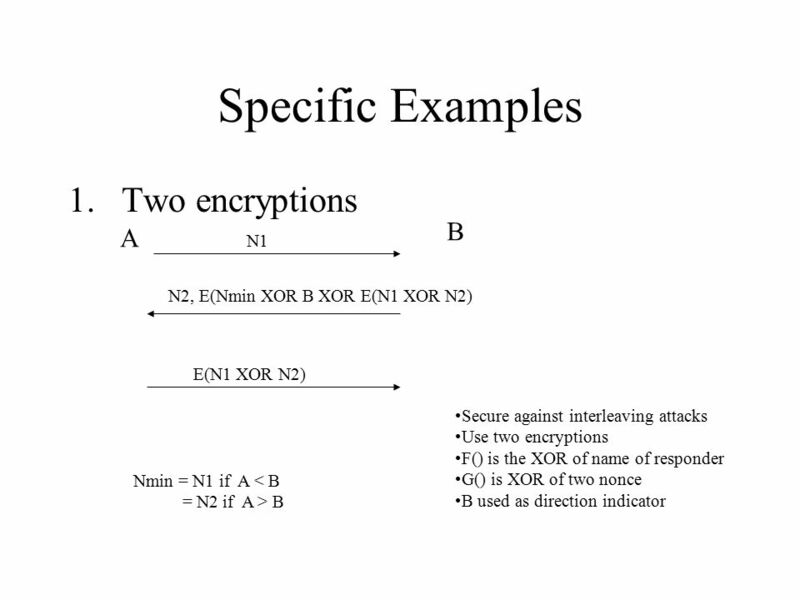 Enabling Alice and Bob to Communicate Securely m m m Alice Eve Bob m.
EEC 693/793 Special Topics in Electrical Engineering Secure and Dependable Computing Lecture 7 Wenbing Zhao Department of Electrical and Computer Engineering. 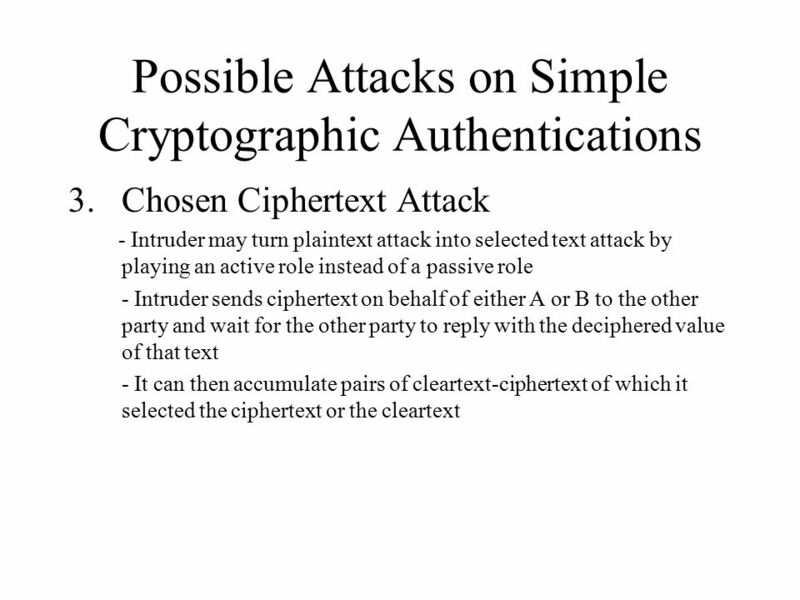 CMSC 414 Computer and Network Security Lecture 13 Jonathan Katz.